The little boy's room in the Westville is more of a nook. 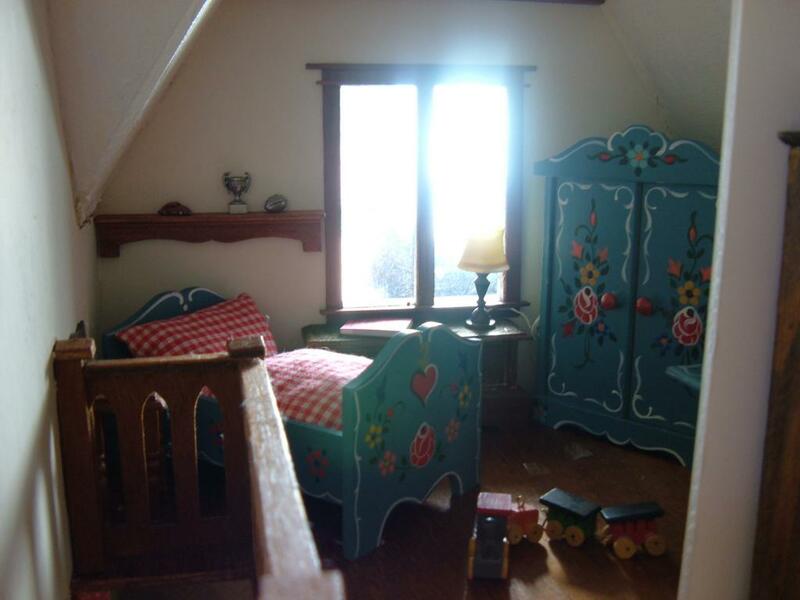 This is a slightly older picture to show you more of the furniture... a tad girly but he's stuck with it! The items (trophy, car, football) on the shelf are all charms that I found at a bead store. He's outgrowing the toddler's toy train so that will be put away... See the next picture in this post for a more updated look... The picture below was taken more recently with more lived-in details. The Lincoln log house is just made of toothpicks. It took way too much time to make! Every notice that minis take more time than real life items? The sideboard is part of a Michael's hutch that I painted Pennsylvania dutch style. The rug is a fabric bookmark. The "painting" of toy soldiers is an asparagus label from Graphic 45 scrapbooking paper! I love that brand! 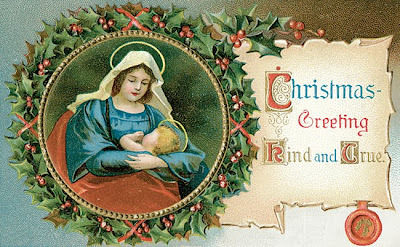 May all the blessings of the season be yours this holiday! Michael's craft stores sell these wonderful $1 hutches that can be bashed into just about anything, like the framework to my built-in bookcase in the last post. Sometimes though, just a little tweaking makes it just what you need! I took this darling one and carved in some arches and rough flowers on the bottom cabinet doors. I then cut out a portion of the top of the right hand cabinet door and slipped an longer piece of wood through the notch to make a cutting board. I glued in a little support underneath it inside with a little scrap of wood. Can't have the cutting board falling down while you're trying to use it! I then covered the whole thing with an antiquing polish that gives it that rustic walnut look. You can still see that color on the main counter. Crackle finish was applied to the whole outside except for that counter and Ceramacoat's Barn Red paint was painted over that. The picture below is that closest to the actual color. The "tile" backsplash is from a sheet of plastic textured shelf paper! You never know where you'll find mini supplies! 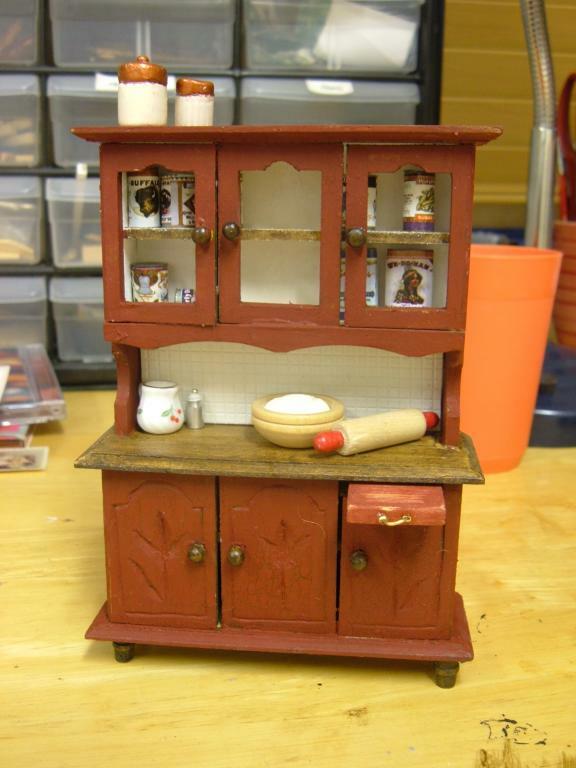 A little wire and two crimp beads glued on finished off the hardware and there you go... a $1 hutch that fits my country kitchen! Details on a homemade sink and icebox coming soon! Now that I removed the closet, there's a cozy place to curl up with a book or compose a little music. Pardon the feather duster on the shelf... there's construction dust to clean! (see previous postings for details). Here it is as part of the living room. It still feels a tad empty... I'm really not sure what to do with all the middle space. I love how it "feels" though! Closet? Who Needs a Closet? In my last posting, I talked about how I make molding panels to add details along the stair wall of my Westville dollhouse. When it came time to attach it, I started thinking... a dangerous thing! That closet under the stairs was a big waste of space! I could put cleaning supplies and storage on display under there but I already had a whole attic for that. Hmm.. what if I take off the doorway... Better already! The elf will have to move out! I then used any and every tool that I could think of to hack away at the wood. I have a dremel but I really need lessons in how to use it. For me, sometimes hand tools like a utility knife just feel more satisfying as I hack away. 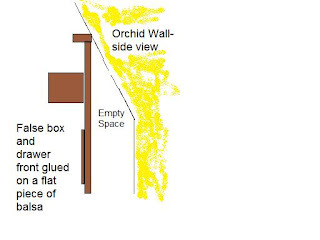 The painted area of wall was the only visible wall space before. I test fit part of a Michael's hutch to work as a "built in" bookcase and with a lot of sanding, finally made it fit. I then found a scrap of foam board to replace the side wall I had just cut out. Remember, I was just hacking away with the knife. If I had planned ahead I could have left that section of wall intact. Hindsight is 20/20! Foam board also smoothed out the underside of the steps so there is a smooth sloping wall. I used textured scrapbook paper to line the back of the bookcase. I love how it imitates bead board! I had to patch in the wood floor before the final fitting, but again because this was a spontaneous "bash" I accidentally used the wrong stain. Sigh. I trimmed it out with scraps of molding and a shelf on top of the bookcase. I used the same bead board look scrapbook paper on the side wall of the stairs to mask the foam board patch. Finally, you can see a couple of the wood panels I made in the last posting. I will be making a couple of final adjustments, like that mismatched angle, but finally, a little more floor space! I'm picturing a rocker and blanket to make a little reading nook. Time to rearrange furniture! You can see that I tried to paint a panelling effect on the side of the stairs. The wax spots on the stairs were for holding the red corduroy carpet runner into place. This is the brightest yellow ever. Again, I must have loved the blue and yellow color combination. The painted triangles on the window were a great touch though!! My Beacon Hill is Home! It was Christmas, 1987 and I was hoping for a dollhouse. When I tiptoed out into the living room early Christmas morning I realize that the enormous cloth covered mound near the tree was probably it! I lifted just one corner and saw what seemed to be plastic. Putting that together with the size, I thought Grandma was giving me a big plastic Barbie house. This wasn't what I had anticipated, but I knew my reaction would mean a lot to her. Quickly getting back in bed, I planned a whole dramatic scene; hand to forehead, a gasp of surprise and several planned exclamations to express my gratitude and amazement. When I was officially allowed out and the cloth was removed, my pretend amazement routine was officially forgotten. I had a wooden Beacon Hill Dollhouse complete with Christmas wreath on the door. I was genuinely stunned and the exclamations were real. It became more that just a toy but a whole other world for me. I spent hours arranging and playing and fantasizing that I was living in the victorian era. See all the dust? Yikes! The greasy marks on the walls are from the wax I used to put up wallpaper in this dining area. The picture below is of the bathroom just the way I left it. The "valance" is a cupcake wrapper! I painted a frosted effect on the lower pane with glue. At least that effect is a keeper! Here's an overall view of the house below. I evidentally wasn't afraid of color! Come in and put your feet up! Hi all! 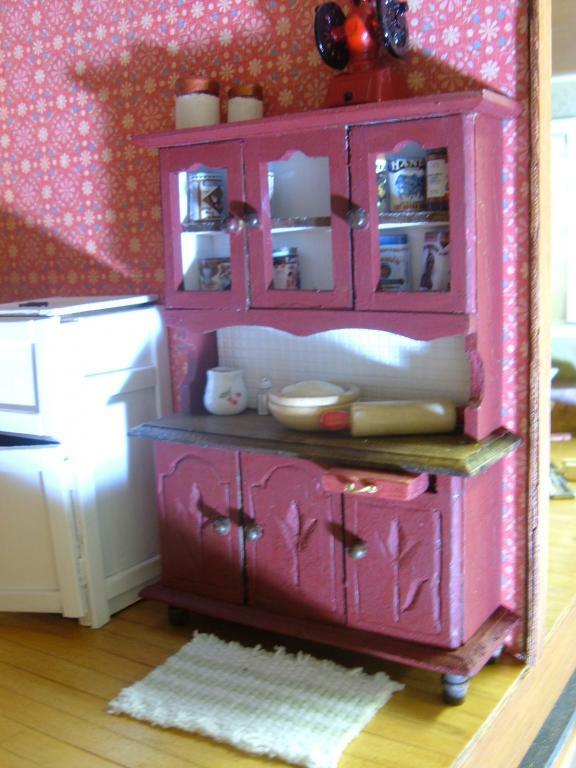 This is an amazing virtual tour of a dollhouse that is so realistic you may want to check what's in the oven. In fact, that's exactly what you should do because there is something in the oven and in the shed and in every nook and cranny of this beautifully crafted house! Once you enter, move your cursor over the page to find all the embedded links that will take you through doorways, upstairs, and closer to wonder details. Get some hot cocoa and enjoy! Sometimes photos like these give you just the details that your need to complete or recreate a scene or time period. Click to enlarge any pics (I hope I've gotten it right this time!) Enjoy! Architectural pics will come soon! Something about fall makes me want to work on minis! This is a close up on a couple of homemade items in my Orchid. Just click on the picture to see them larger. I made the rose out of crepe paper (yes, the party kind of crepe paper! ), getting the idea from Martha Stewart. The thin paper ruffles and ripples easily as you stretch or roll it using a toothpick to roll the edges of the petal. I never would have thought of it but Martha did! The (crooked!) candle is a bit of thread dipped in melted candle wax. A little black marker tinted the "burnt" wick. The flower vase is an endcap used in making jewelry. Easy but intricate! 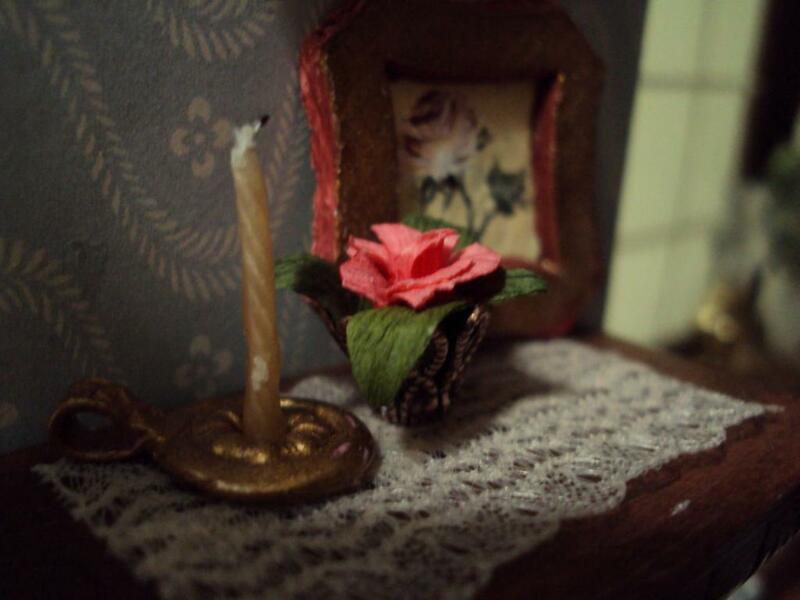 The base of the candle is made of polymer clay. The pattern came from pressing an eyelet setter into the clay. I then painted it gold. I made the painting too by dipping the end of a toothpick into different shades of paint, never wiping it off, making loose "u" shaped strokes. I havent' been able to get another to work out as well unfortunately! The lace runner is two short strips of lace glue lightly to each other to make a wider strip. I love how thin it is... I found it in a fabric store and think it was designed for lingerie maybe?